Millennials are disrupting many aspects of society, including the way families share wealth. This is highlighting how different this group of people are compared to other generations. It is true that this generation is known to disrupt established norms, such as working with the gig economy where an individual can use assets to make money, but this particular change is quite unexpected. In essence, a number of millennials are doing their best to share their wealth with their families. The following is meant to help highlight these changes to give everyone a glimpse into the kind of society millennials are going to be creating. Many people within the baby boomer generation and other generations pride themselves on their ability to pull themselves up by their bootstraps. The idea of asking for help once they are adults seems to be something many in these generations frowned upon. Furthermore, the concept of helping their grown children was something many did not want to do. Millennials seem to be throwing these concepts out the window in different ways. Yes, a large portion of this generation is not only staying at home longer, but they are also asking for support, even if they are grown adults. It should also be pointed out that this generation also intends on helping grown parents when the time comes and are more than willing to help their own children at any stage in their lives. More millennials are having trouble purchasing a home. Perhaps this is the reason many are choosing to stay home or creating a plan to purchase a family home to share with everyone in the family, even as the family grows. The idea of having more than one generation living in one household seems foreign to developed countries, like the UK, but the reality is this concept is old as time. There are individuals within this generation who are actively looking for a home that would accommodate their entire family’s needs, which is different from before. This means that millennials are going through the entire mortgage process not only to help themselves but anyone else in the family who needs the living space. These new homeowners will likely want to pass on their homes so that their children do not have to worry about their living situations. It is a bold idea that is bound to catch some of the older generations off guard since they have been taught that multi-generational home living is frowned upon. Still, it seems that this particular trend amongst this population is not slowing down. It may be birthed from necessity, but the idea may stick around. 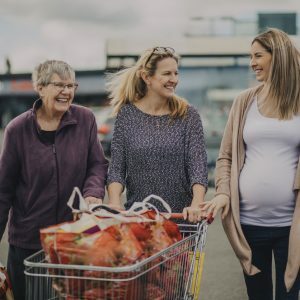 Millennials are bringing back multi-generational living, and they think that the wealth of a family should be shared amongst anyone in the family that needs help. Clearly, things are definitely shifting in those areas, but this young group of individuals did not stop there because they are also rapidly changing gender roles within a family along with expectations. There was a time when women were expected to stay at home and men were expected to work, but that is no longer the case; in fact, it has not been the case for decades, but it has never been more clear as it is with this generation. Both sexes are expected to work nowadays, and both sexes are expected to contribute to the family unit in equal ways. Furthermore, it seems that many millennials are encouraging members of their families to seek out multiple streams of income and not just one income from one job. It is easy to see why since many millennials wear more than one hat through the shared economy that allows them to not only work one job but a number of little jobs in between, such as ride-sharing or doing little odd jobs for others. There is no telling what other changes millennials are going to introduce to modern families, but it is safe to say that it will be different. Some of these changes may evolve, but only time will tell how far this new crop of people are willing to radicalise things.